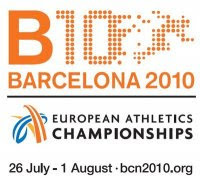 The 20th European Athletics Championships will be held in Barcelona, Spain, on the 27 July - 1 August 2010. This will mark the first time that a Spanish city organizes the European Athletics Championships. Beautiful Barcelona! You can enjoy the city and the games without another thought. With our international cell phone rental, enjoy your trip while keeping in touch. We will give you FREE incoming calls in Spain .We will provide you with a local Spanish line, which will make your outgoing calls very accessible. Remember our Toll Free Service number if you want for your family, friends and customers to get in touch with you for FREE. The advantage of our cell phone rentals, no calling cards, no purchasing minutes, no call back service, use this phone like your own line, and after you came back to the States, receive your bill over email, very easy! And if are planning to travel around, please, do ask for our GPS service for Europe. Another opportunity for Phonerental to help you relax, and enjoy your trip! Phonerental specializes in the short term rental of telecommunication solutions, including international cell phones, satellite phones and GPS units. Our vast network of international cell phone providers allows us to offer substantially lower rates for international travelers over their home network cellphones. Cannes Film Festival 2010, May 12th-May 23rd.